Holidays Rock… so do we! 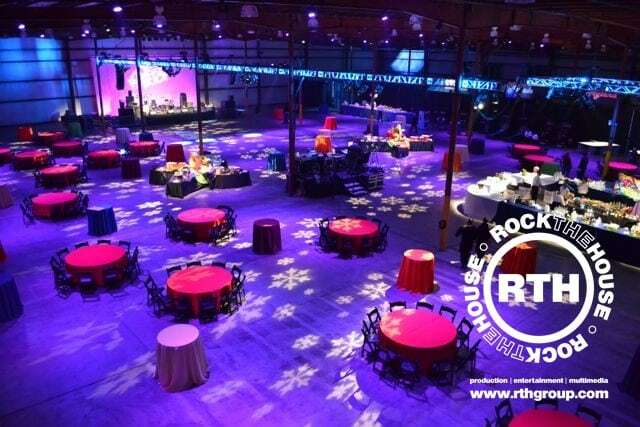 From large events to more intimate affairs, Rock The House has creative ideas for your next holiday party. Our award-winning customer service team will work within your budget to create the type of event you have always wanted. Each event we create is unique. Make sure to tell our Event Specialist you saw this page for 10% off your final event cost. *For new bookings only. Imagine your holiday party transformed into a winter wonderland. 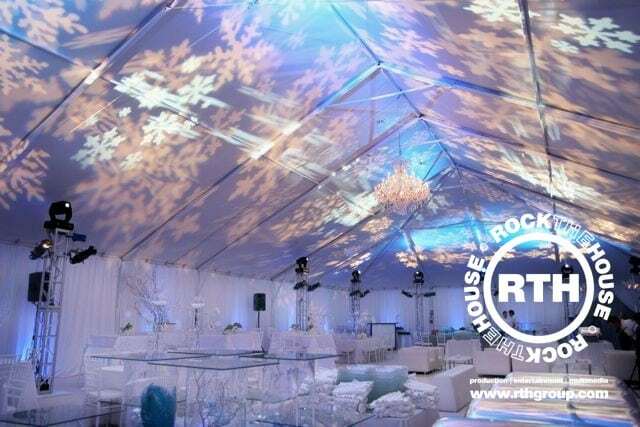 Rock The House will project snowflakes on your walls and dance floor, light the room with a beautiful winter blue, and even have a great snow machine over the dance floor! Whether you need Christmas trees, Garland, Holiday lights, or want to project Holiday classics like Santa Clause, Scrooge, and the Grinch on the walls of your space, Rock The House has it all. So your company had a great year…but not quite good enough to fly your whole team to Hawaii? Let Rock The House bring Hawaii to you! With tropical lighting, green screen photos that place everyone on the beach, and event staff dressed in their best surfer gear, we’ll make your party 101 degrees HOT! Whether you need a simple photo booth, mirror booth or a VIP winter themed photo lounge, Rock The House has the photo and video technology you need for your holiday celebrations! Even if you’re planning a raging holiday dance party, it’s always a great idea to have a few extra options for your guests to participate in when you’re not rockin the dance floor! 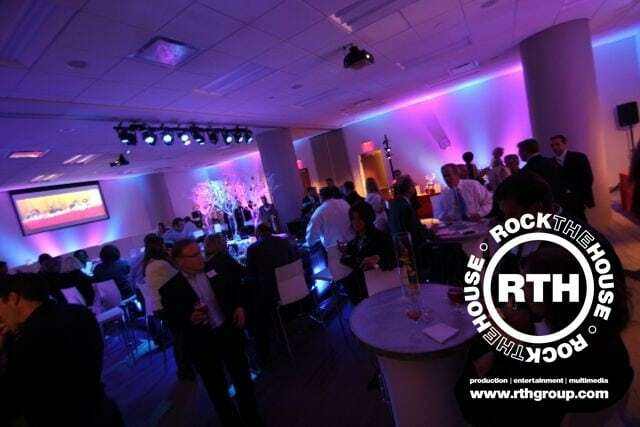 Rock The House features many different GIANT, larger than life games such as, Giant Jenga, Connect Four, Light Bright, Pick-Up Sticks and so much more! The activities are endless! 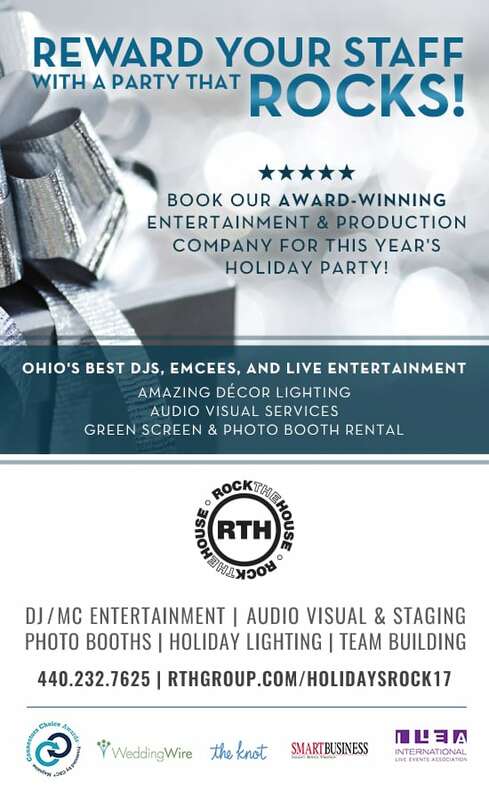 These are just a few ways our services can create your dream holiday party. A holiday party is the best way to bring a team closer and ready for the New Year! Contact us today to find out more about RTH and set up an appointment!